The enemy of hardwood flooring is moisture. The reason Engineered Wood Flooring is the ideal product for your home is that it is a much more stable product. 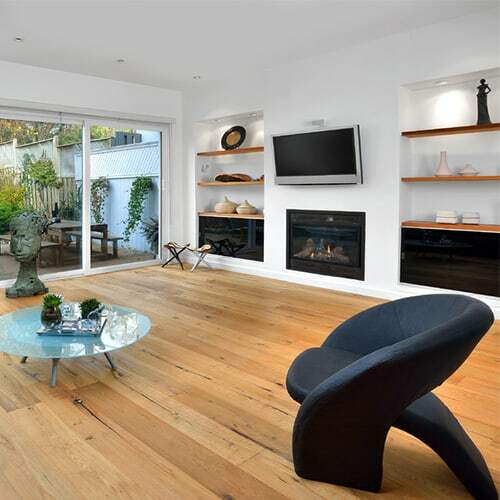 Wood flooring expands and contracts depending on the level of moisture around it. It typically moves more in the direction of the grain of the wood itself. Engineered wood flooring is comprised of layers of wood that is arranged in a cross-grained fashion in order to minimize the level of movement in any one particular direction. 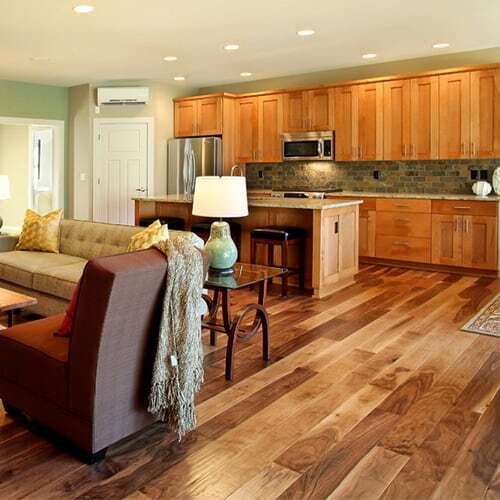 With this feature, engineered wood flooring does not move nearly as much as solid wood. Another important detail is that the majority of homes in Southern California have a concrete foundation on the first floor. Solid wood has to be nailed down thus requiring an additional plywood sublayer to be installed on top of your concrete foundation resulting in additional “hidden” expenses, large bulky transitional moldings, and an overall increase in your floor elevation. Whereas with engineered hardwood floors, it can be simply glued down to a concrete foundation, making the process more efficient and beneficial to you.